Vinification & Aging: The grapes are harvested at the end of September. Fermentation takes place with at skins for 7 days, at a controlled temperature of 82° F. The malolactic fermentation takes place in barriques. The wine is aged for 12 months in second passage barriques, and then 6 months in the bottle. Description: Ruby red with shades of garnet. Bouquet is complex, with intense aromas of ripe red fruits, dry fruits, toasting, spices and intense mineral notes. 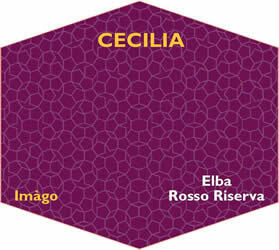 Harmonic, full bodied and with great structure, this wine has evolved tannis, great intensity and softness.